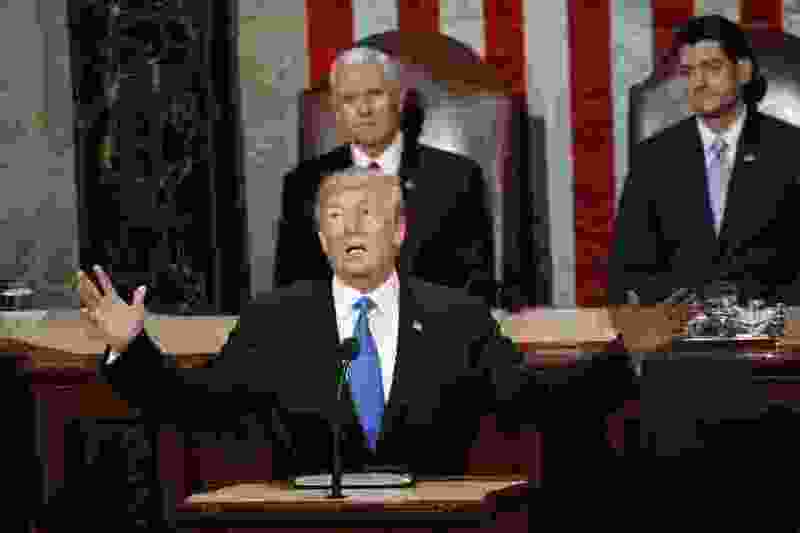 (Pablo Martinez Monsivais | AP file photo) In this Jan. 30, 2018 file photo, President Donald Trump delivers his State of the Union address to a joint session of Congress on Capitol Hill in Washington. Washington • Shutdown pressure on President Donald Trump mounted Wednesday as House Speaker Nancy Pelosi called on him to delay his State of the Union address and his own economists acknowledged the prolonged standoff was having a greater economic drag than previously thought. In a letter to Trump, Pelosi cited security concerns, noting that both the Secret Service and the Homeland Security Department are affected by the partial government shutdown, now it its fourth week. She added that unless the government reopens this week, they should find another date — it's now Jan. 29 — or Trump should deliver the address in writing. Even as administration officials projected confidence in their course, Trump's economists indicated the shutdown was having a greater impact than previously predicted.